Stephen R. Covey’s The 7 Habits of Highly Effective People, and The Leader in Me, as well as Sean Covey’s The 7 Habits of Happy Kids. Regularly scheduled lessons from the “Power Up Your Habits” Curriculum focus on developing leadership skills through the use of the 7 Habits. As the year progresses, students are able to Find Their Inner Voice, Habit 8. Students demonstrate problem-solving, leadership, cooperation, respect, and personal and civic responsibility. All teachers plan regular lessons introducing and reinforcing the practice of the 7 Habits. 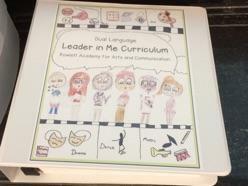 Although Rowlett continues to improve and implement this curriculum, we have reached our goal to be recognized as a Franklin Covey Leader in Me Lighthouse schools worldwide, awarded to the school in January 2016. Through a whole school transformation, students learn 21st Century Skills and become empowered to lead themselves and others. Our Student Lighthouse Team, which consists of 21 students: eleven 5th graders, seven 4th graders and three 3rd graders, meets on a regular basis to plan leadership events and train others to be leaders. A strong partnership is important as the school focuses on developing the leaders of tomorrow. Please stay closely involved in all your child's school activities and find ways to build strong leadership skills at home as well. 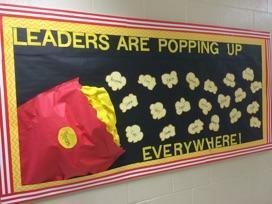 Visit The Leader in Me parent site for additional information and activities. Rowlett Academy has a zero tolerance towards bullying. Habit 1: Be Proactive - I am a product of my choices. I am free to choose and am responsible for my own choices. Focus on what you can, not on what you cannot. Habit 2: Begin with the End in Mind - I live by design. Mental creation precedes physical creation. Define and align your unique contribution. Habit 5: Seek First to Understand, Then to be Understood - I listen with the intent to understand, not to reply. To communicate effectively, we must first understand each other. Habit 6: Synergize - Together we can create a better way, a higher way. The whole is greater than the sum of its parts. Believe in Third Alternatives. Habit 7: Sharpen the Saw - I nurture the goose that lays the golden egg. To maintain and increase effectiveness, we must renew ourselves in body, heart, mind, and soul. Invest in yourself. 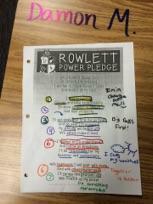 As part of embracing the 7 Habits, all students are expected to learn The Rowlett Power Pledge. Bracelets are given to those students who know the pledge by heart. And always do my best. And do what I’m assigned. 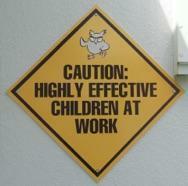 With Safety rules in mind. With POWER as my prize!